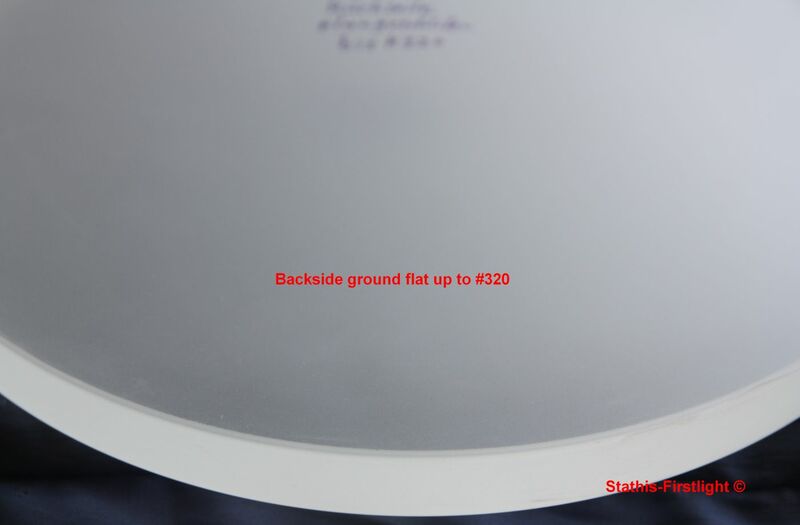 I can supply borosilicate blanks in the standard sizes ex stock and can get other sizes in approx. 4-7 weeks delivery time. If you are interested, please contact me at the above e-mail address or call at +49 / 89 / 62 42 01 71. 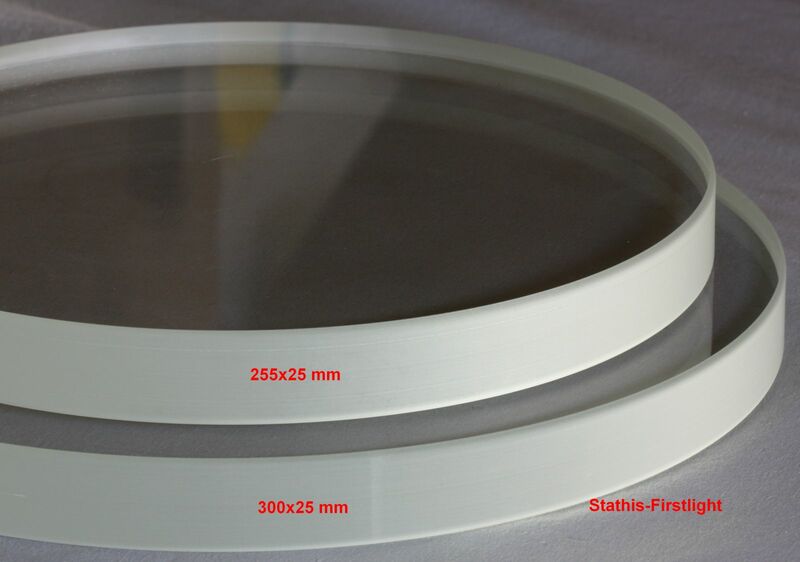 The blanks are from Schott borosilicate glass, which has the same thermal and mechanical properties like Pyrex or Duran. 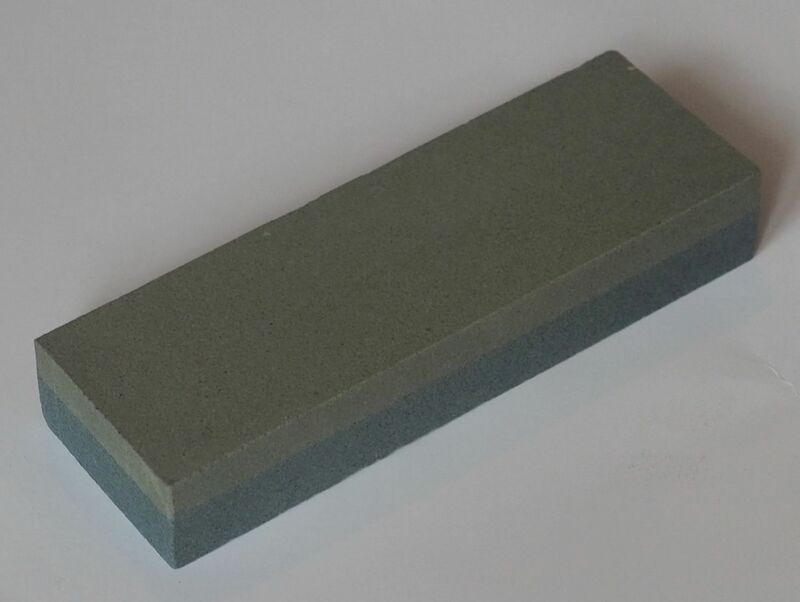 The material is homogeneous, free of visible bubbles and free of internal stress or stain (as seen in the polarizer test). 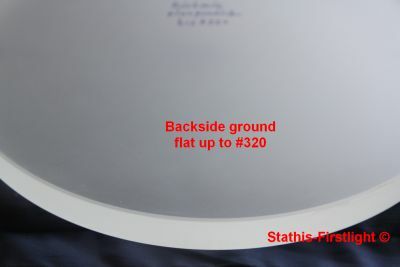 The blanks are cut from large sheets, they are considerably flat on both sides and come with a ground edge. Countless fine mirrors have been made with them for decades. 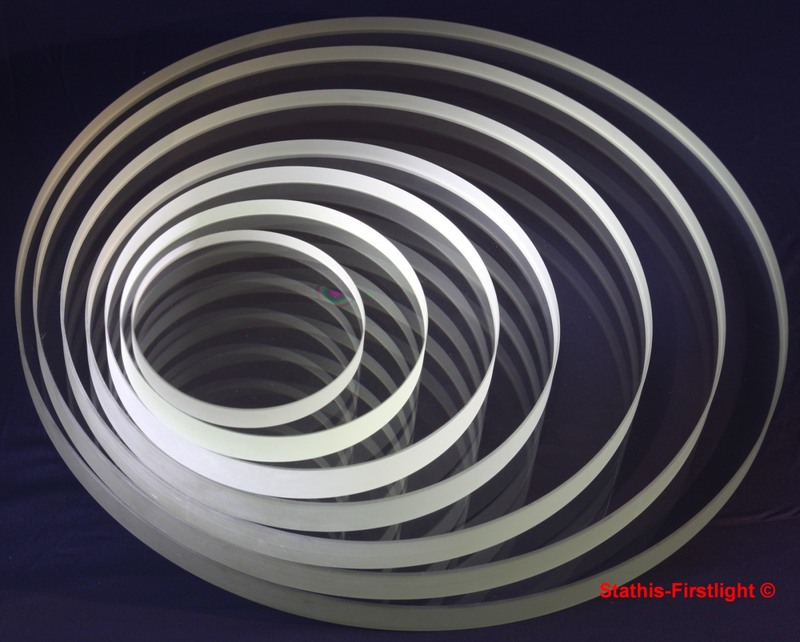 See examples in our mirror making workshop in Munich or in the Astrotreff Forum. Available in the thicknesses 31,5 / 34,5 / 41,3 / 47,6... (up to 57,2 mm). Ideally suited for larger diameter mirrors. Same thermal and mechanical properties like the thinner material. Please ask for a quote and delivery time. Other quantities I can put together on request. The grinding and polishing tool is not included in the set. You will need to make this yourself or just order 2 blanks (which is still affordable at least for the smaller sizes). Tips on how to make your own tool see at tips and tricks (German text).